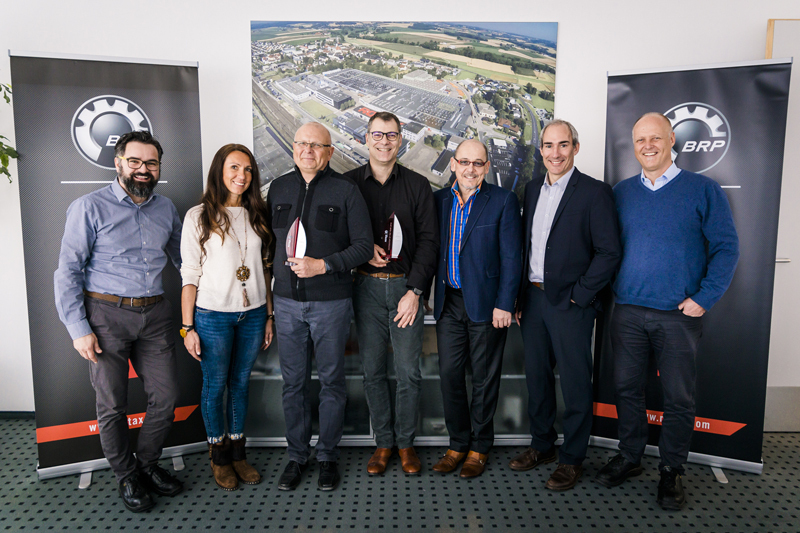 Gunskirchen, Austria – BRP-Rotax is proud to announce the top three members of its 2018 Distributor of the Year Award. The annual award program recognizes its distributor's efforts to demonstrate sales achievements linked with operational excellence that lead to strengthen BRP-Rotax’s marketing efforts in respective areas around the world. “We use various standardized parameters to choose the winners thus wanting to confirm the professional work and professional practices implemented in their business and race organization throughout the past year,” said Peter Oelsinger, General Manager BRP-Rotax / Member of the Management Board, Vice President Sales, Marketing RPS-Business & Communications. “All three winners are long-time business partners of BRP-Rotax and we are happy to honor their efforts,” he continued. The award ceremony was held with representatives of Sodikart and Kart Baltic at the BRP-Rotax facility in Gunskirchen, Austria in absence of the winner JAG, who could not participate due to its very busy racing schedule. BRP-Rotax, therefore, handed over the winner’s award directly at the first round of the UK karting championship. All Rotax kart distributors put focus and determination into the business throughout the year to achieve the goals. The best appreciation of their work, however, is the positive feedback of satisfied customers. During the past years, Rotax kart distributors have accumulated extensive experience in successfully supporting and promoting the Rotax kart business with outstanding marketing activities in their local markets and beyond. Strong partners enable the company to further improve the business and with 43 authorized distributors and a network of more than 600 service centers and dealers, BRP-Rotax supports its customers worldwide.